MC Sniper, DJ Beats and the rest of the Kurupt FM crew will also be bringing the pirate radio vibes in January. West London’s pirate radio station has had quite a year, from the BBC 1Xtra session with Craig David, a BBC TV series and busy Champagne Steam Rooms events across the country. 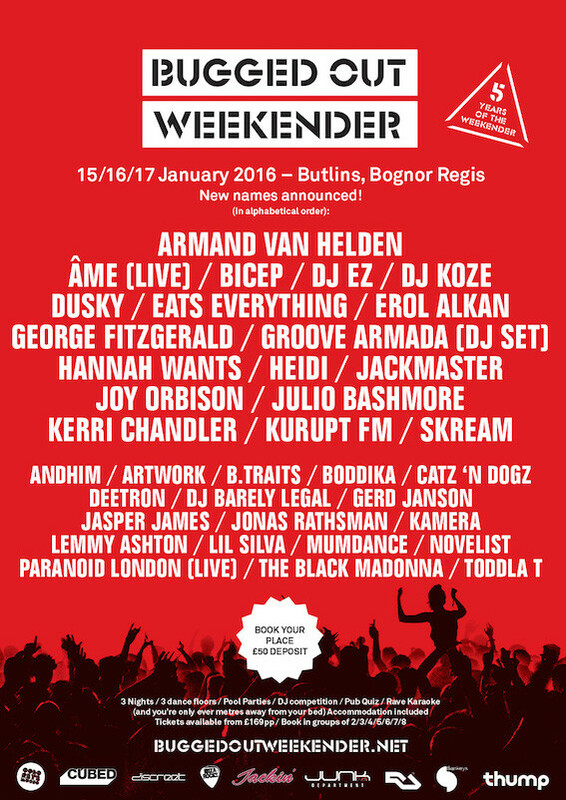 The Weekender will have a total of three nights, three dance floors, pool parties, pub quiz, rave karaoke and a host of surprises and tickets are on sale now. Early bird have already sold out.